Landscapes that are environmentally friendly have the added benefits of being naturally beautiful and water-wise. Our Irvine, CA landscape architecture and designs use native plants and artistic hardscapes. Our hardscape design for outdoor landscapes are custom made to match your unique space. Collaboration is the key to successful landscape designs. That's why we communicate with you to learn how we can best customize your landscape to meet your needs. Our goal is to combine your vision with ours to transform your outdoor space into a new landscape you will love. Our design team is passionate about bringing environmentally friendly landscape architecture to life. Our landscaping company in Irvine consists of the most creative, educated, and experienced designers and builders that use the latest sustainable techniques in their design plans and construction. The design and construction process starts with a detailed questionaire and consultation with one of our landscape designers. Our design team conducts a full site inventory to discover the details and condition of the existing landscape. Your designer will continue to collaborate with you while they draft plans, perspective drawing, and construction documents for your new landscaping. Because Irvine, California weather is almost always beautiful, when people are at home, they spend a lot of time outdoors, entertaining guests or just enjoying life in their unique personal space. It takes planning and creativity to design a custom landscape that is an extension of the owners. 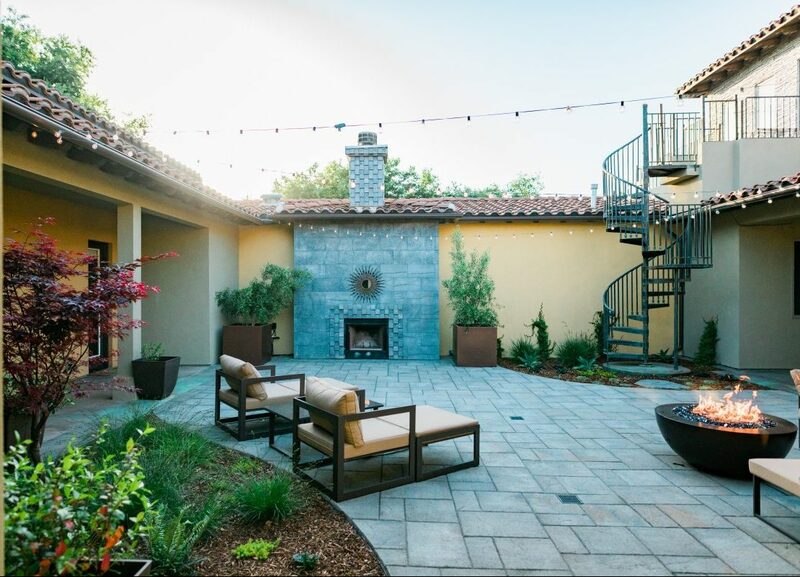 The knowledgeable staff at Wild Bloom landscaping company in Irvine, CA collaborates with clients to understand what their tastes are and to help them choose the right colors, textures and features they want to incorporate into their landscape design. Our creative designers listen to requests and even can design a conceptual perspective drawings of the proposed landscape, which helps you see how the finished landscape will look.